Perhaps I am taking this question a pinch too literally, but if I were on a desert island, I wouldn't take Suzanne Goin's Sunday Suppers at Lucques or Patricia Wells' Bistro Cooking, or any of the many Nigel Slater cookbooks in my home that I refer to often. 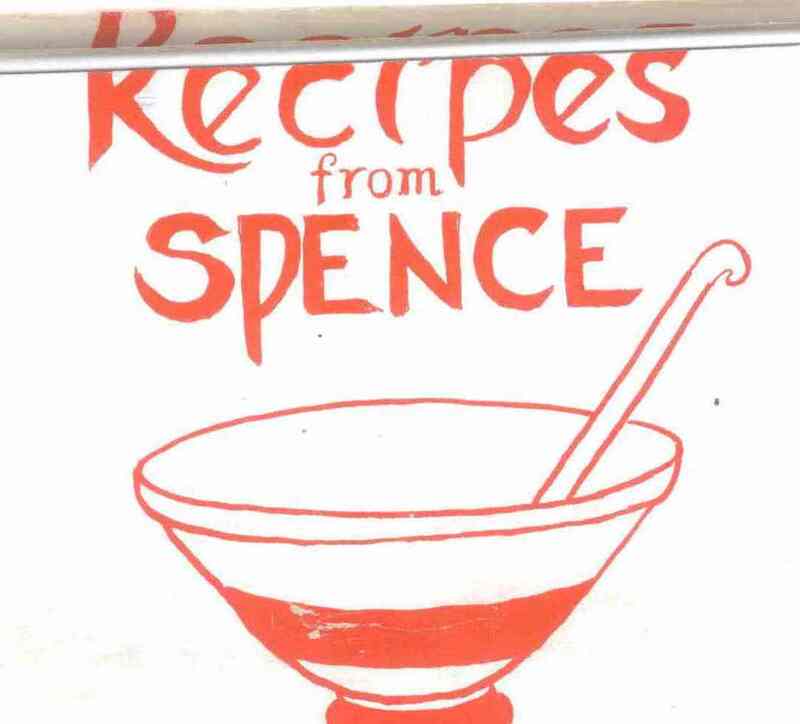 I would take The Spence Collection: A Book of Recipes. I went to the Spence School, an all-girl school on the Upper East Side of Manhattan, and this cookbook was published by my mother and my classmates' mothers in 1987. The one thing I love most about cookbooks -- and this one has in spades -- is the ability to transport you to another time. For example, I found three salmon mousse recipes (this was the late 80's, people), but I also found recipes for bubble and squeak, guava cake, borscht, avgolemono, and hot and sour soup. Recipes that reminded me of the culturally rich and diverse families that helped make up the student body. 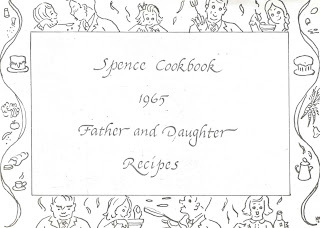 I recently found my mother's copy of the Spence Cookbook (moving twice in one year, you'd be surprised at what you uncover), and as I was flipping through it, a steady swirl of high school memories filled my head; some memories linked to food, most that did not. I found my Aunt Toula's long-lost chocolate chip-cream cheese cupcake recipe. I found my mother's cheesecake recipe, and countless others written by my classmates' grandmothers, fathers, and one recipe written by our head mistress Edes P. Gilbert, who writes in the foreword, "This cookbook is a collection of good ideas about good food which we hope will lead to fine meals and lively conversation in your household. Both are essential to civilized living and pleasurable for all who participate and enjoy!" These cupcakes are moist and incredibly delicious. Combine flour, cocoa, sugar, baking powder, vinegar, vanilla, oil, and 1 cup water. Blend well for two minutes with a whisk and pour into cupcake trays. Combine cream cheese, egg, and 1/3 cup sugar and beat in blender. Stir in chocolate chips and spoon chip mixture over cake batter. 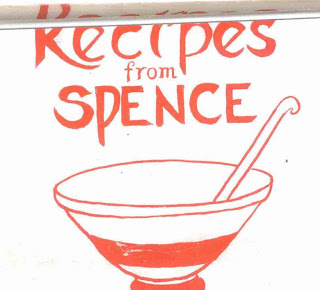 The Library has two Spence School cookbooks in the collection. 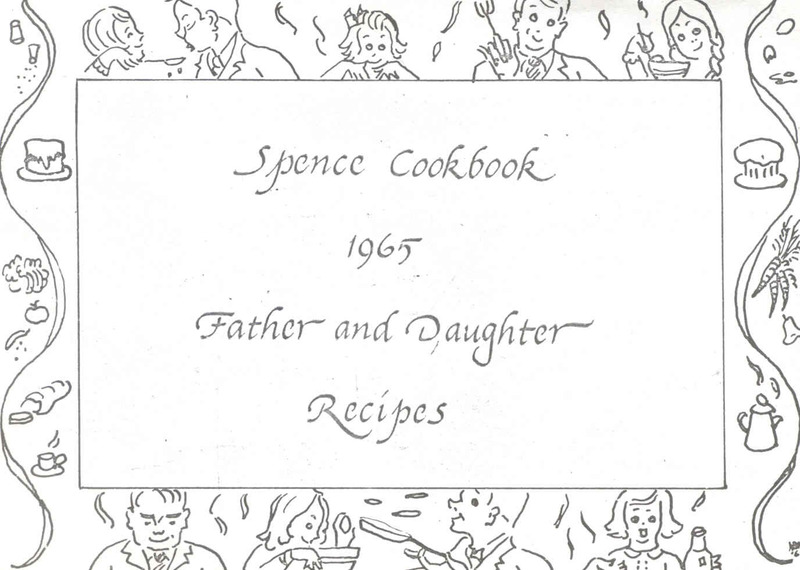 Recipes from Spence and the Spence Cookbook 1965: Father and Daughter Recipes. Community cookbooks often reflect recipes that the contributors would like people to think that they cook — rather than the dishes they actually cook. This makes for a social phenomenon that has fascinated some food researchers. The subject heading "Community Cookbook" will provide a large variety of examples to peruse. For a history of community cookbooks, consult Recipes for Reading: Community Cookbooks, Stories and Histories, edited by Anne Bower. Homesick Texan has been writing interesting blog posts about her Junior League cookbook obsession, which started with her mother's bookshelf when she was visiting Texas. I cherish my very few community cookbooks which reflect local ingredients, traditions and usually very specific instructions. As always, a wonderful post. Yes, the wonderful thing about cookbooks is transporting you to another time, and also another place! And perhaps also to another way of thinking about life.